Use what you have learned to open doors. There is no barrier between you and whatever you may want to become. Your Rapid Reading skills will enable you to build a strong, successful future. How badly do you want to increase your reading skills How hard are you willing to work to reach that goal Set the time to accomplish your reading goal at four weeks. Then, set your short range (daily) goals and your intermediate (weekly) goals, to make sure you get there -on time. 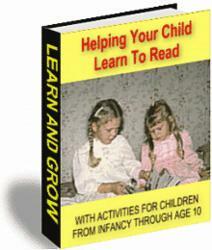 Schools are ill equipped to teach visual reading skills to young children. Phonics is a great starting point when children are allowed to be creative rather than forced to conform. Since most schools teach phonics as the only method, few children are presented with any other option. Light-Speed Reading is a choreographed effort of harmony and rhythm that is intended to bring both hemispheres, both energies, together. As you learn to respect your feminine energies and appreciate your masculine energies, you will move into a realm of light-speed possibilities and increased awareness. It is a realm of light and energy, oneness and wholeness, unbounded by limiting thoughts. This Light-Speed Reading course is as much a self-assisted therapy as it is a course in reading skills. As you develop your reading abilities, you will simultaneously develop your integrative, self-empowering, light-speed awareness. Reading can be an experience in wholeness. Holistic thinking can speed your reading experience. By engaging holistic modalities of the natural process of thinking in a reading session, the reader connects with a level of awareness that connects with the author in wholeness. Repeat these exercises at different times through the day and at bedtime. Seek times that encourage the child to relax and enjoy the experience. Changing the times and places that reading is done tends to discourage anchoring the reading experience to specific times or places. If, for example, childhood reading is done only at bedtime, later reading experiences will tend to bring on drowsiness and lower comprehension. So, choose various times of day to read with the child. Miller illustrates the power of conformity in her enlightening treatises on the origins of child abuse in America (re For Your Own Good, Miller). She follows the lives of well-known mass killers, like Adolph Hitler and others, who, with the assistance of societal support for conformity, brought about horror on a global scale. It is my hope that as you open your intuitive reading abilities you also awaken the deep stirring of divinity within you. Now, aside from what you are capable of, you will probably allow yourself to read in the thousands of words per minute range. Realistically, readers will probably see a substantial rise in both reading speed and comprehension. This is the overall goal of the reading course presented here. Beyond the reading course, my hope is that you find the spiritual giant within you that knows all and understands all. A Course in Light-Speed Reading could be your opening into that wondrous mystical realm. Imagination is our bridge to other dimensions. Libraries and Universities are full of books representing the expression of that imagination. Natural intuitive reading is one way to encourage our imagination to flourish and our minds to expand. The principle of perception accepts that we all are correct in our interpretation based upon each person's perspective. Our entire earthly experience is subjective that is, subject to personal interpretation and perception. Because of this wonderful ability to perceive, we can allow each person to have their own interpretation of their reading experience. The most important thing to do with reading is to enjoy it. No matter whether you are reading technical material, children's books, novels, or magazine articles, fun is the most important ingredient in a successful reading experience. Relax into your reading and allow the fun to come forth. Intuitive Reading is natural - It is your native capacity to take in things in wholeness. Think of a chair. Did you come up with an image of a whole chair or did you imagine all the parts of the chair separately Initially you thought of the whole chair together as one item. As I asked, you may have parted out the chair and then imagined it in parts. Still, the first image that came to you was the whole chair. You didn't have to mull it over or talk to yourself about it - you just had it. At the end of your 1st week of practice (at least 7 hours of practice), you should be reading 450 to 850 words per minute (wpm). Your understanding should be satisfactory to you. You should have an understanding of how new reading habits are formed and how old reading habits are broken. 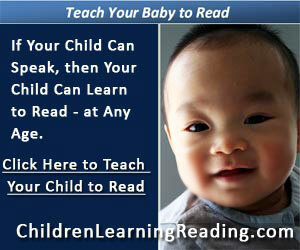 The ALPHA-NETICS RAPID READING PROGRAM incorporates the most effective of the known teaching methods. It is important that you understand that even if the program may be a perfect teacher, you will not be taught unless you want to be. If you do as the program instructs, you will amaze yourself at the rapid and substantial increase in your basic reading and learning skills. You are the most important and critical part of the program. You should also bring with you a book from which you normally read or study. It could be the same book you start with, but we recommend you use a book from the area in which you most need to improve your reading skills. In this way, you begin to use and apply your newly-found skill to your normal reading, immediately. 4) Reflect on your reading experience. How did your body feel this time How was your visual field different than the first trial How was your emotional experience different Were you able to understand more or notice answers to the questions you missed the first time Record your comments in the space provided on page 18. Consider what happened to Richard, a high school senior who took one of our three-week Evelyn Wood reading courses. In the same school, a group of twenty sixth-graders increased their reading scores by an entire grade level after taking a five-week Evelyn Wood course. Their average reading speed jumped from 115 words per minute to 234 words per minute. Overall, 82 percent of the students increased their comprehension and vocabulary reading levels, and 94 percent increased their reading rates. Subvocal linear reading is clearly an important part of your repertoire of reading skills. Becoming proficient in this slower-paced technique will increase your reading speed far beyond its present rate and is an essential first step in Mentally Soaring with visual-vertical reading. Evelyn Wood began her career as a counselor for girls at a high school in Salt Lake City. As it happened, none of the youngsters she was trying to help could read well, and good reading seemed the key to getting them back on track in their studies. So Evelyn established a remedial reading program. From this experience was born the basic Evelyn Wood method of reading at high speeds by using the hand as a pacer. Over the next two years, Evelyn fine-tuned her technique in a speech and reading course she taught at the University of Utah. In 1959 she established the first Evelyn Wood Reading Dynamics Institute in Washington, D.C., and the rest is history. Learning certain motor coordinated skills can often assist you in seemingly unrelated areas. In one experiment, when kittens were deprived of the motor movement of walking after birth, they became perceptually blind Apparently, a stimulated motor center is needed to activate a cat's visual brain center. When children are deprived of the motor movement of crawling in infancy and put into walkers, some forms of dyslexia often result. Later if the crawling patterns are eventually practiced, normal reading can often develop. Ordinary reading skills won't do in today's world because there is too much information and too little time to assimilate it. If you read at the average speed of 250 words per minute, you're at a major disadvantage trying to take in the facts and concepts you need to perform well in school or on the job. For that matter, you're at a severe disadvantage even at speeds of 400-600 words per minute a rate that's in the top range for the most experienced students and adults. Our goal for the nation's students is bold, to say the least We want record numbers to achieve supersonic reading skills and honors-level academic performance. Yet I'm convinced that this goal can be realized if you practice the principles set forth in these pages. Poor reading habits make reading tedious. Imagine yourself trying to speak a foreign language that you do not know well. You must translate every word you hear in order to understand. Trying to speak in one language and mentally translate to another language is difficult. Only when a person can speak and think in the same language is clear understanding and rapid communication possible. This is also true with reading. Only when a person can stop translating will the reading skills of speed, understanding and remembering be increased. If you are not a doctor and are not familiar with what is written in a medical journal, you will not understand what is written in one, even if you have acquired these new reading skills. Trying to read the medical journal would be the same as attempting to read a book written in Russian without prior understanding of Russian. The Alpha-Netics Rapid Reading Program was designed so anyone can use it. It does not matter how accomplished a reader you may be or how poor a reader you may be. The users of the program are competing only with themselves and the goals they set. Everyone can use the program and improve reading skills. Everyone starts at his or her level of competency, regardless of what that level may be. In other words, this program is only interested in the development of your reading and learning skills. It is imperative that you move steadily and smoothly over the print. Use your hand in all your practices, as well as in your normal reading, until you move naturally and fluidly over the print. You are moving your eyes at 60 beats per minute, which is 540 wpm, if the lines you are reading average 9 words per line. You have already learned that if your eyes flow smoothly over the print, you can eliminate the problems of convergence and fixation. You learned that as your eyes move steadily and smoothly across the page, they begin to see the print better and with increased concentration. You also begin to understand the words better than you have ever before and the understanding is being triggered by the sight of the words and not by the sound. Once you have learned the reading skill to this point, how fast you can read will be determined by the speed at which you can see. The first step, or skill, you learn is smooth, fluid movement of the eyes, in tune with a beat, either applied or implied (with or without the metronome). Do not kid yourself into thinking that you are going to create artificial time to practice techniques. Most people will not. Just use it No matter how tempting it may be to revert to inefficient reading habits, follow the steps of the PhotoReading whole mind system before reading in any other way. It is much easier to be motivated to do something if you know your efforts are being rewarded. It is much easier to see where help is needed in the development of your reading skills if progress is recorded. It is much easier to set honest, lofty goals if you know exactly what your progress has been, and exactly where you are and what you have had to do to get where you are.